Rance prepares for season 2017 Highlights of Alex Rance's pre-season. He would nearly have been available to play last week, but he just needed to get a week's worth of training into him. 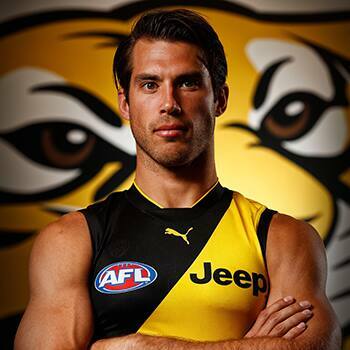 RICHMOND star Alex Rance will play his first JLT Community Series game against Port Adelaide on Sunday, with coach Damien Hardwick declaring him a certainty to return from a hamstring issue. Rance has been managed in recent weeks with hamstring tendinitis, missing two intraclub matches and the pre-season opener against Adelaide. Hardwick said the three-time All Australian would play reduced game time against the Power as he ramps up preparations for the Tigers' round one clash against Carlton. "Absolutely … provided there's no training mishap this week he'll play minutes this week," Hardwick told AFL.com.au. "He would nearly have been available to play last week, but he just needed to get a week's worth of training into him. "We've got a certain amount we like to get through with players coming back from a hamstring injury and he was just shy of that. "He'll be available to play and he'll be a welcome addition." The Tigers have a relatively healthy list three weeks out from round one, with defender Bachar Houli (hamstring), Steve Morris (knee), Shaun Hampson (back) and Jack Graham (hamstring) their other concerns. Hardwick said Houli was unlikely to feature this week, but certain to play some minutes in the final pre-season game against Collingwood on March 11. "He's had an interrupted pre-season and hasn't been fully operational for a period of time now," the coach said. "We've got to make sure we get enough training into his legs before he starts to play. "It's one of these ones where he'll feel fine and then it'll just tighten up. "We're not overly concerned about it, but it's one of those ones you've got to respect." Morris, who ruptured the anterior cruciate ligament in his right knee last June, is targeting a round four return and was likely to play in the VFL from round one or two. Hampson, meanwhile, continues to be managed with back tightness, placing his round one selection in doubt as ruck recruit Toby Nankervis shines this pre-season. Graham, who was recruited with pick No.53 in the 2016 NAB AFL Draft, is up to a month away from playing. AFL and club access members will have free general admission entry to JLT Community Series matches in which their club is competing (subject to availability, upgrade fees may be applicable). Click here to learn more.